On the first day of Spring, at the same time as the northeastern U.S. was bracing itself for yet another pounding snowstorm, it was an unusually cold morning in Quito, Ecuador. So cold that I had to go and put on socks. Overnight temperatures in Quito had dropped to about 50 F.
In the early morning, when I arose to start my day, there was still a bit of a chill, so just jeans and a t-shirt weren’t going to cut it. As I was sitting at the dining room table working at my computer, I felt forced to get up and go put socks on my feet. Such are the rigors of life in a place where every day is the first day of Spring. If I were at a lower elevation in Ecuador, it would be considerably warmer. Cities like Guayaquil and Salinas, at much lower elevations and nearer to the coast, only dropped to the mid-70s F overnight. They often reach the 80s F or even the 90s F during the day. That’s the thing about this country: it’s on the equator, but the Andes Mountains also pass right through it. So, you get to pick your perfect climate just by choosing what elevation you live at. Quito, at 9,350 feet above sea level, drops into the 50s F at night and typically only gets up to the 70s F during the day. Sitting in a mountain valley, surrounded on all sides by the peaks of the Andes, offers many benefits to this capital city. View of Quito and the surrounding Andes mountains. There are never any weather extremes here. Even ordinary rain is generally captured by the mountains. That means it rarely rains in the city, yet runoff from the surrounding peaks ensures a steady supply of fresh water. Even better, very fertile land is less than an hour’s drive away on all sides of the city. This means abundant supplies of fresh produce are always available. Another great advantage of being in a mountain valley is the magnificent views. There are lush green mountains on all sides. Most people live up in the foothills, leaving the valley floor for the business district and all the commercial areas. 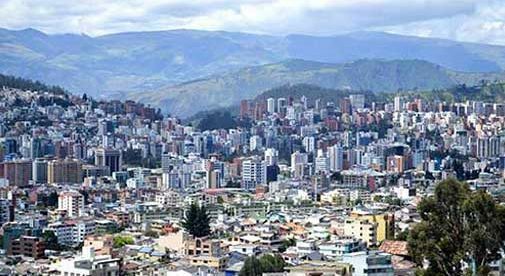 Geography dictates that Quito is only about four miles wide at its widest point and about 20 miles long at its longest. That makes this an extremely walkable city, as long as you don’t mind hills. A side benefit to walking up and down all these hills and the year-round great weather is that you’ll never need a gym membership. Ecuador uses the U.S. dollar as its official currency, and many buildings are being switched over to use American-style electrical outlets. This is especially true in newer construction or with those that have been recently renovated. These little details help to make life here just that much easier. While Spanish is the official language, most signs are printed in both Spanish and English. In larger cities like Quito, Cuenca, and Guayaquil it’s generally pretty easy to find locals with at least a working knowledge of English. This means that, although you’d find life easier by knowing a little Spanish, it is not an absolute necessity for getting by in Ecuador. 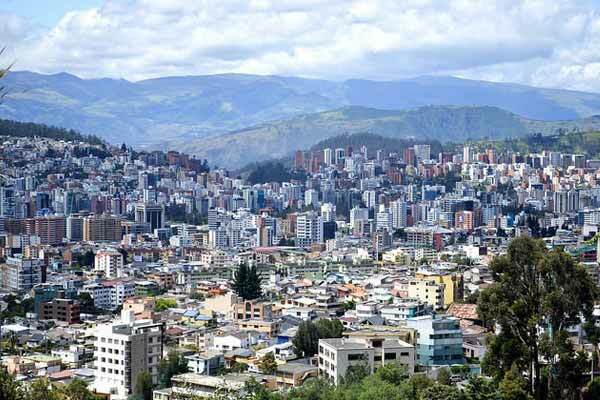 All these things combine to make Ecuador among the easiest and most desirable places for U.S. and Canadian expats to retire overseas.